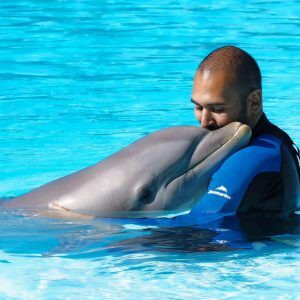 Chirag entered the animal training field professionally in 2004 and has since become a leading figure in the profession internationally. He is highly sought after for consulting with private clients and organizations as well as running workshops for professionals internationally. Chirag consults on the behavior management and training of domestic animals kept as pets, exotics, zoo and laboratory animals. 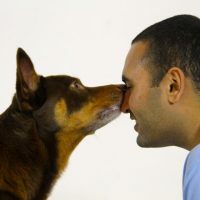 His passion is the application of behavior change science and ethics to improve the life of animals living under human care, especially applying training principles to teach animals to be active participants in their own daily and veterinary care in a stress-free manner. I was about to say that it reminds me of TTouch when you mentioned it with the UK TTouch practitioner as this is based on giving dogs choice and strengthening the bond between humans and their pet by building trust and confidence and taking the time of letting the animal think and choose when.doing ground exercises and wrapping. Thanks Ryan for your programme and thanks Chirag for sharing your approach. I finally found time to listen to this podcast. I use the bucket game often when working with clients. I love teaching husbandry, and teaching it with a cooperative base is so important to the dog’s comfort and trust. Ryan, thanks for doing this interview with Charig and sharing with us. Really Enjoyed this podcast. I use the bucket game often when working on husbandry behaviors with my clients and their dogs. Loved the conversation on expectations of rescue dogs. This is something I have thought and talked about often. So often, people who rescue keep their dogs “stuck n the past” as opposed to empowering them for the future.Great podcast, thanks! Thank you for delving into Chirag Patel’s process and giving us insights into how he’s come up with some of his ideas! Also, I really liked the story he chose to tell at the end, focusing on how it’s important not to make presumptions and judgments about human clients — very moving.